Pure and Simple Stainless-Red | R.G.E. | Reading Glasses Etc. 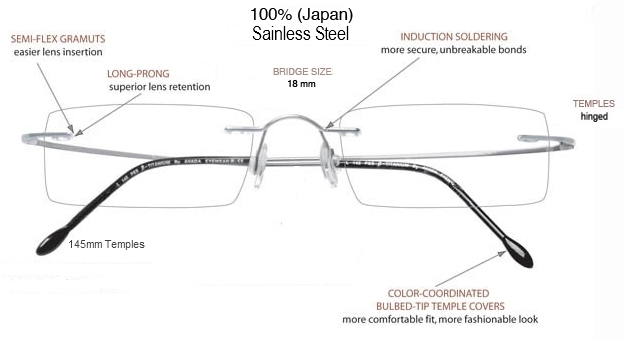 Pure and Simple Stainless Red Custom Rimless Reading Glasses are as light-weight as you can get. Made from surgical quality stainless steel. Comes with an 18mm bridge and 145mm hinged temples. Fully customizable lens shape and size. You can add AR Coating or Custom Tint and tint depth. Really, where else can you do this ?